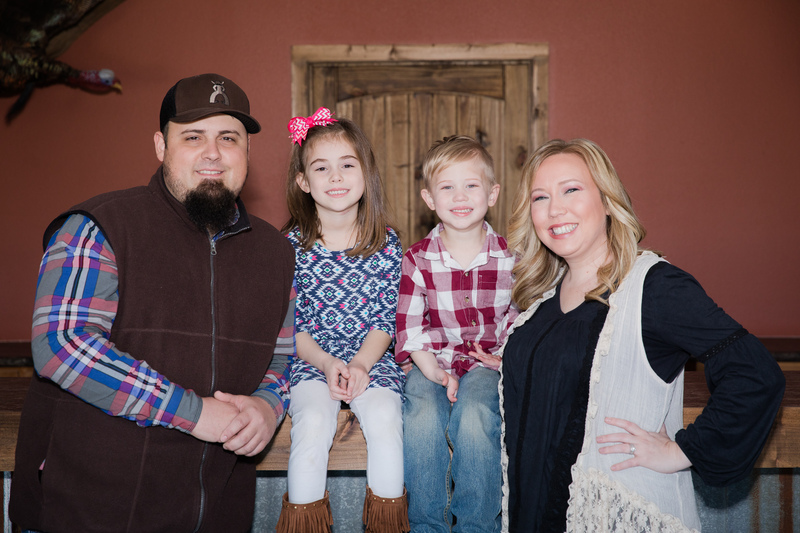 As Pastor and Church Planter Jordan Wilson stands back and reflects on all God has done in the three-and-a-half years since Tyler County Country Church (TC3) began, he is truly in awe. Standing in a 16,000 square foot, two-story building in Woodville, which opened its doors in October 2016, Wilson can point to so many moments of God’s faithfulness and provision. TC3 was started by Wilson and his wife, Emily, in 2013 after being approached by First Baptist Church Woodville and six other churches who saw the need for a new church in the area to reach a different segment of the population. Initially, the church was started as a Cowboy Church, but they soon found that the model did not quite work for the people they were trying to reach. Wilson learned about a new Country Church model through his work with Texas Baptists and found it was just the right fit. 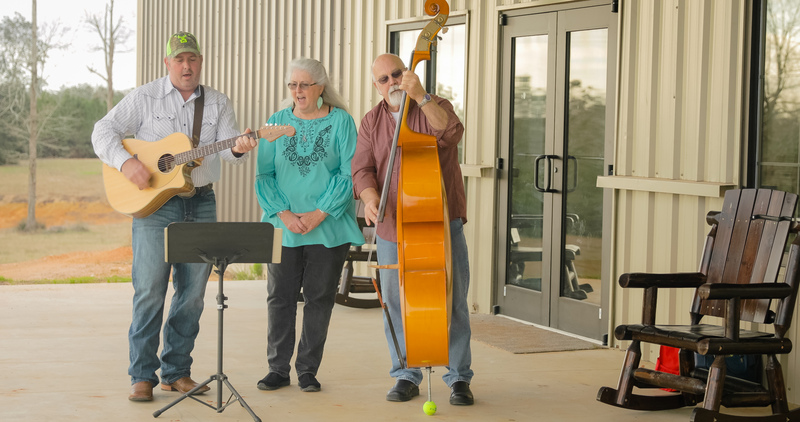 “There are certain elements that make Country Churches successful and we believe we can take those tools and use them within our context to reach people,” he said. From playing country music to enjoying a relaxed dress code and atmosphere, the model has allowed visitors to feel right at home. It also embraces the “Southern” culture of the country, as many in the community enjoy recreational activities like hunting and fishing. From the beginning, Wilson knew TC3 would be a church that would reach people who were not already in church. “We never aspired to reach people who were at other churches, we aspired to reach people who were at home on Sunday mornings,” he said. The church has seen 50 baptisms and professions of faith. Starting out with just a handful of members, the church now averages well over 300 each Sunday and pray to fill every seat in the 450-seat worship center one day. As you drive up to TC3, trucks line the parking area and a bluegrass band fills the air with soothing rhythms and harmonies. 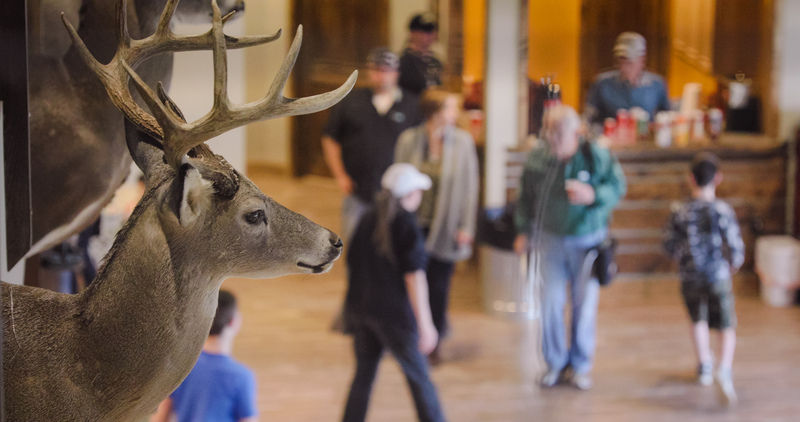 Walking into the lobby, six large whitetail deer mounts line the wall of the balcony, with a bison, elk and turkey at eye-level. A welcome center and “outpost” with church apparel also draw you in. For Wilson, each component of the first impression makes a difference and each element was selected intentionally. Striving for excellence in everything they do has also been a primary motivator. “It sets the stage for country people to feel at home and for God to move,” he said. When TC3 began, they met on the local county fair grounds, then moved outside when they outgrew the space. As summer months approached, meeting outside was no longer possible, so the church moved to a school cafeteria for several months. Then one day, Wilson received a call that changed everything – a donor wanted to give the church 30 acres of land to have as their own. In October 2016, TC3 opened the doors on their new two-story facility, with six children’s classrooms and a spacious multi-purpose lobby. Although the congregation is only three years old, TC3 has a heart to start new churches as the opportunity arises. “Other churches came together a few years ago to plant our church, and we feel called to do the same,” Wilson said. With an average of 5,500 churches closing their door in America each year, Wilson sees the need for new church models that are needed to reach the state and country for Christ. Through the success they have seen at TC3, he believes many aspects of the Country Church could be duplicated to reach nearby communities similar to Woodville. Wilson is thankful for the support he has received through Texas Baptists Church Starting. He encourages other individuals prayerfully considering planting churches to utilize the resources which have led to their church’s success. To learn more about Texas Baptists Church Starting, contact your local church starter.